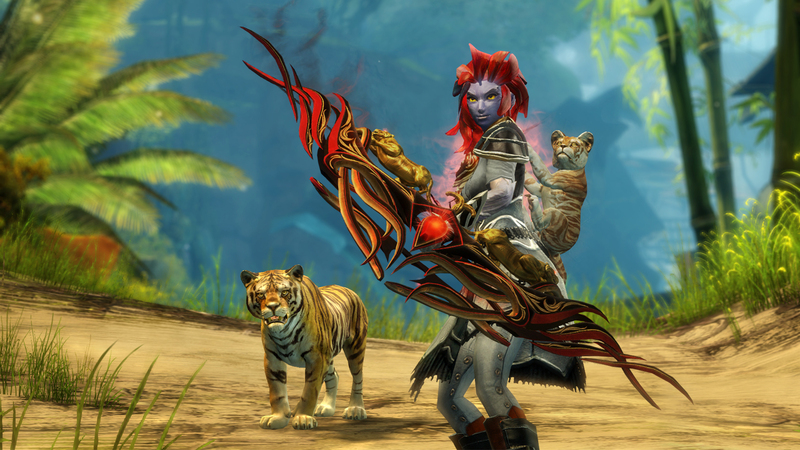 In the Spring 2016 Quarterly Update, you’ll find more to explore in Guild Wars 2: Heart of Thorns™ maps, get one character boosted to max level, find the members you need for your raid group, earn new rewards in World vs. World, and more! You can read the full release notes here. 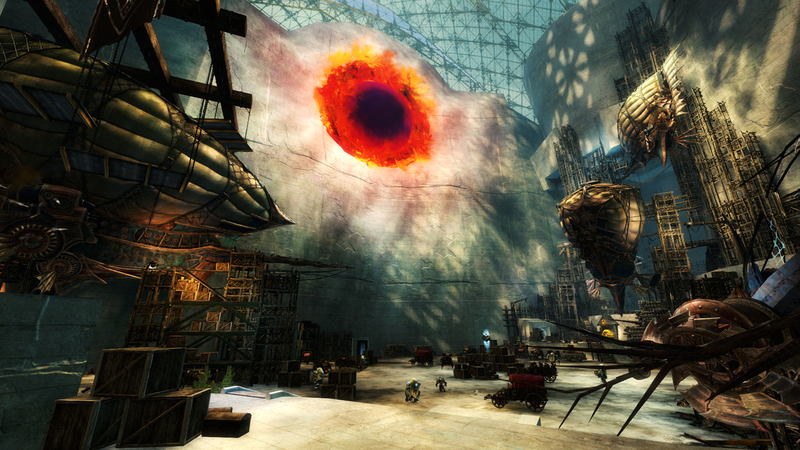 The Heart of Maguuma maps have been updated to make exploration more fun, whether you prefer solo or group play. 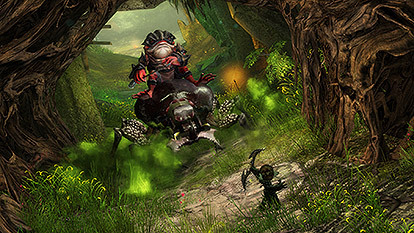 Mordremoth’s forces were driven back from crucial waypoints, adventures are more accessible, new events have been added, and scaling has been adjusted. The reward structure has been changed for several map-wide events to reward you more often and give you more control over how you spend your time in the jungle. 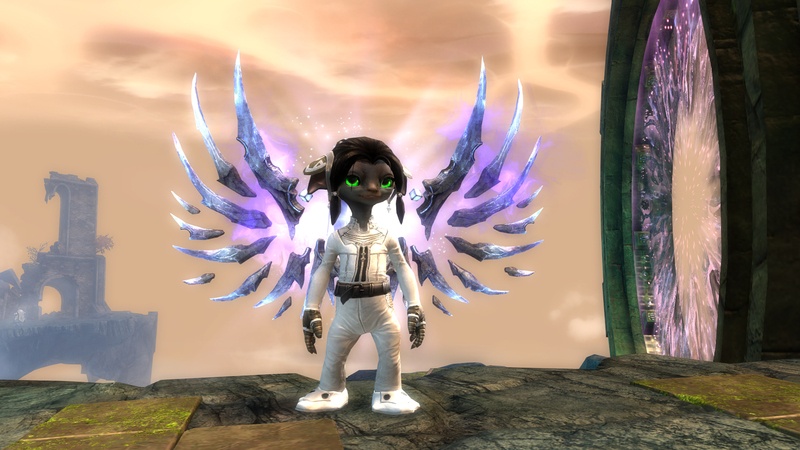 Soar to level 80, and unlock your heroic potential! 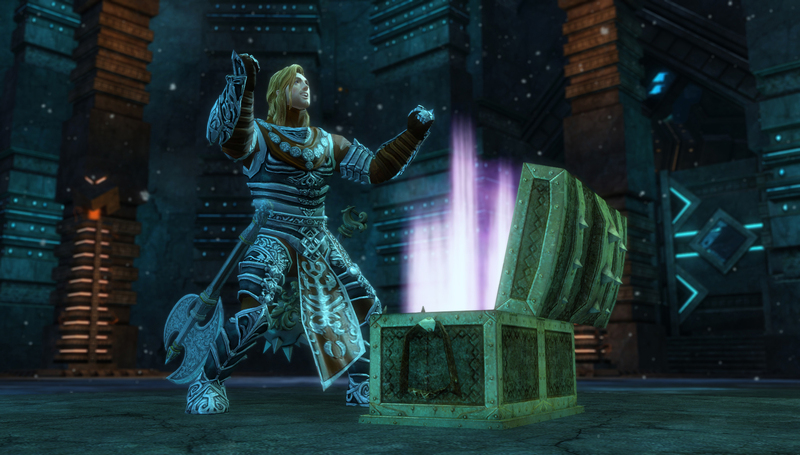 All players who have purchased Guild Wars 2: Heart of Thorns will receive one free Max-Level Boost, delivered in a permanent, account-wide inventory slot that’s yours to keep. 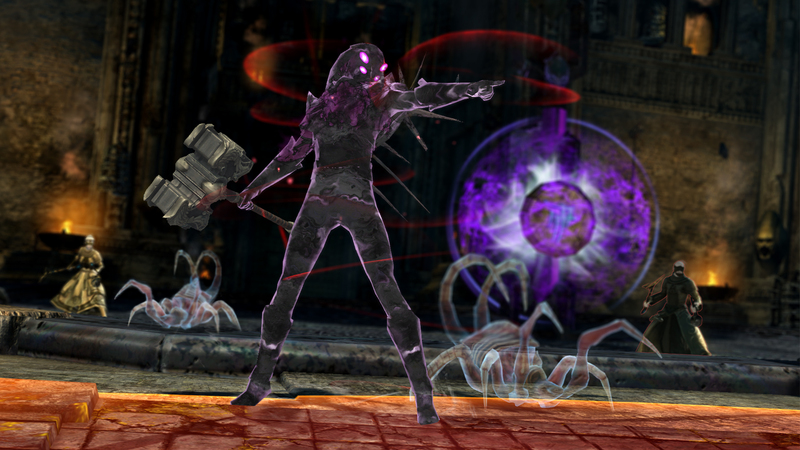 Once you’ve tested out your chosen profession in the Silverwastes and consumed the boost, we’ll equip your new max-level character with everything they need in order to immediately join the battle against Mordremoth. 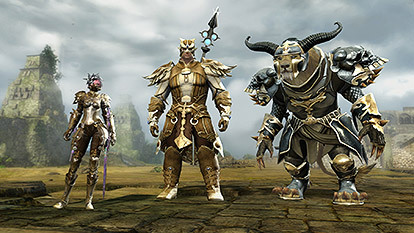 Bring your squad into LFG to find new friends to play with in raids and large group content! We’ve also added new categories and subcategories to help you make connections and refine your search, whether you’re hunting for achievements, seeking a mentor, or in need of role-playing companions. World vs. World now features reward tracks, letting you make guaranteed progress toward the rewards you want most as you play. 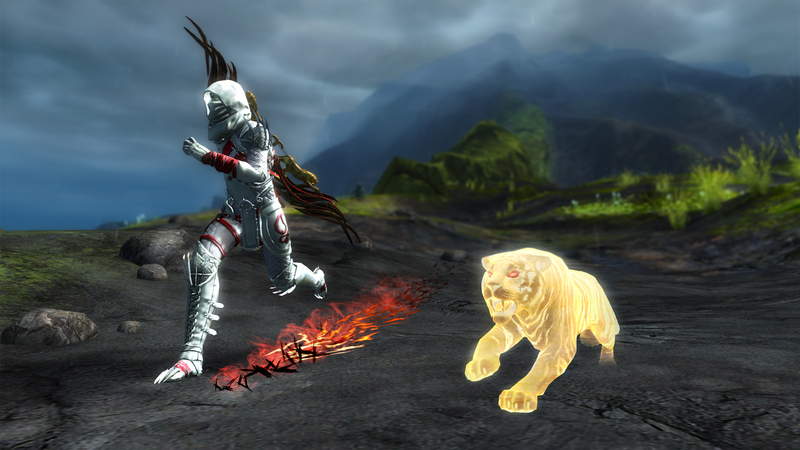 Through reward tracks, you can earn tomes of knowledge, crafting materials, and skins, including the new WvW-exclusive Triumphant armor set. We’re also addressing population balance issues by creating alliances between low-population worlds, giving them the necessary numbers to go head-to-head with existing high-population worlds. 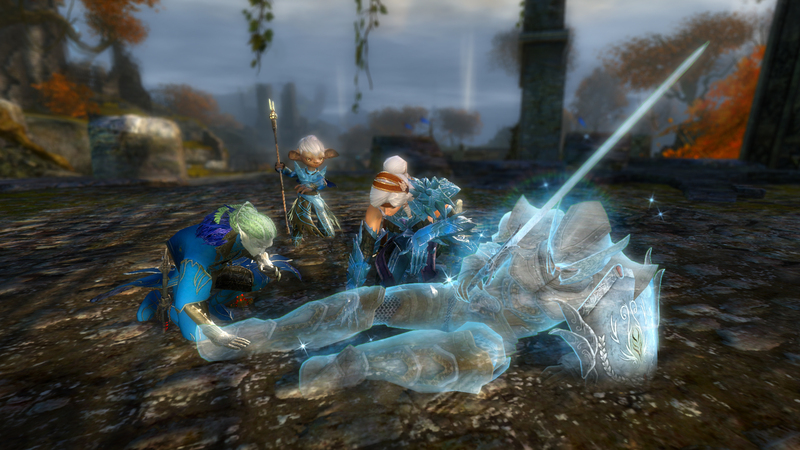 Dedicated explorers of the Fractals of the Mists can now build the legendary backpack Ad Infinitum. 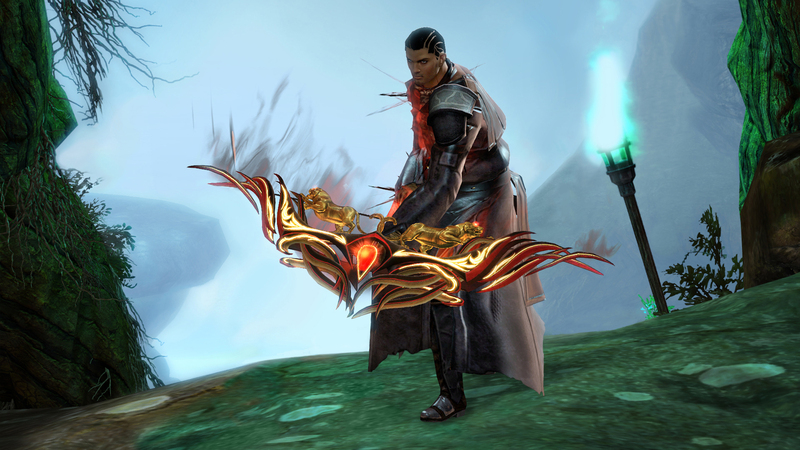 After creating your precursor, speak to Kelvei, the Legendary Observer, to begin the fourth collection. Every true hunter is responsible for the lives they take. 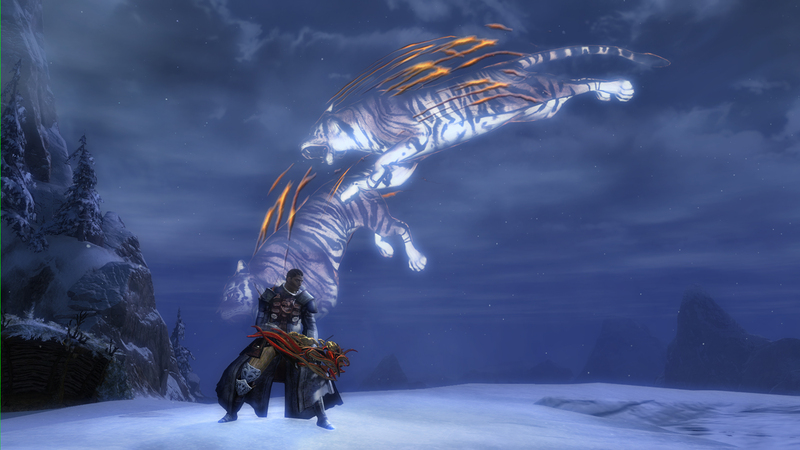 Embark on a hunt for two great tigers, Chuka and Champawat, and build the legendary short bow that bears their names. Why camp out in the thick of the jungle when you can prepare to venture into mortal danger in comfort? 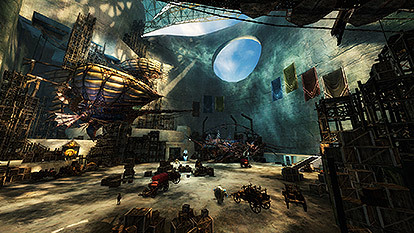 Join up with friends, organize your squad, hone your raiding skills, and enjoy convenient access to raid portals at the Lion’s Arch Aerodrome. New achievements have been added to the daily rotation, so you can earn extra rewards for even more fun activities. Daily meta-achievements will now put gold in your pocket as well as adding points to your achievement score. 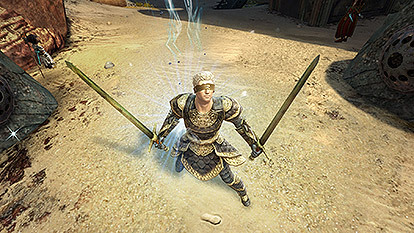 Each quarterly update contains adjustments to professions and their skills, weapons, and traits to keep gameplay fun and exciting. 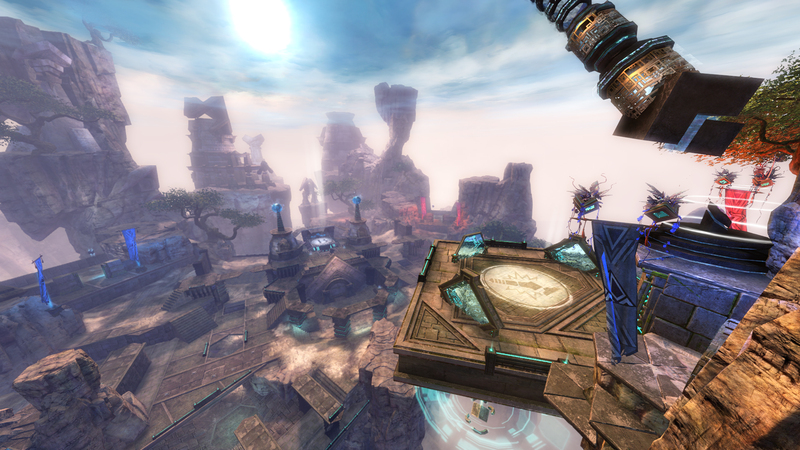 The Mists have shifted, resulting in pacing and gameplay adjustments in several fractals. 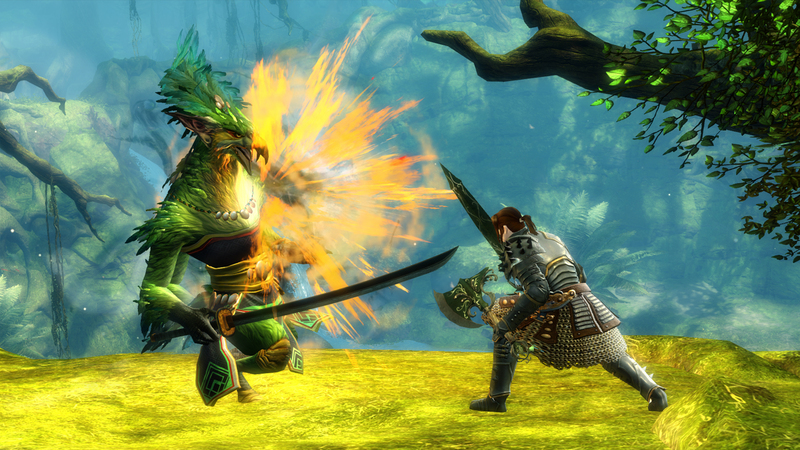 Changes have also been made to Mistlock Instabilities and fractal level tiers. 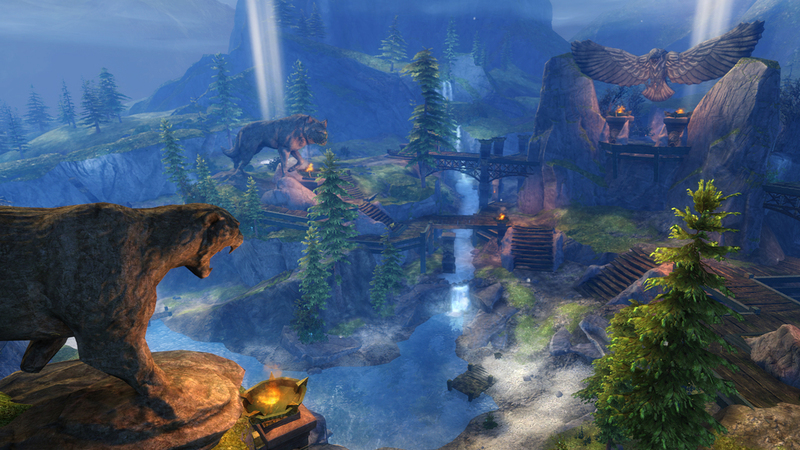 The Spirit Watch, Skyhammer, Forest of Niflhel, and Legacy of the Foefire maps have all received quality-of-life updates to improve gameplay.